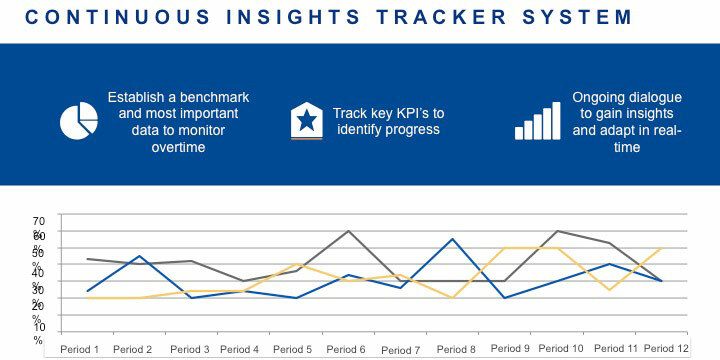 Our Continuous Insights Tracker establishes a benchmark and monitors key KPI’s overtime such as awareness of new campaigns and initiatives, satisfaction and engagement. Part of our goal overtime is to identify the measures that are the most important for an organization to drive donations. This tool can provide an ongoing dialogue with your donors and email database on a continual basis that allows you to leverage insights in real-time. It also can be used annually or quarterly to get an update on the progress of the key KPI’s we have identified. One of our most robust trackers with one of our clients was on a weekly basis through the turbulent election season and is still ongoing today. This constant feedback has helped them adapt in real-time, hone their messaging, and maneuver the ever-changing political landscape.